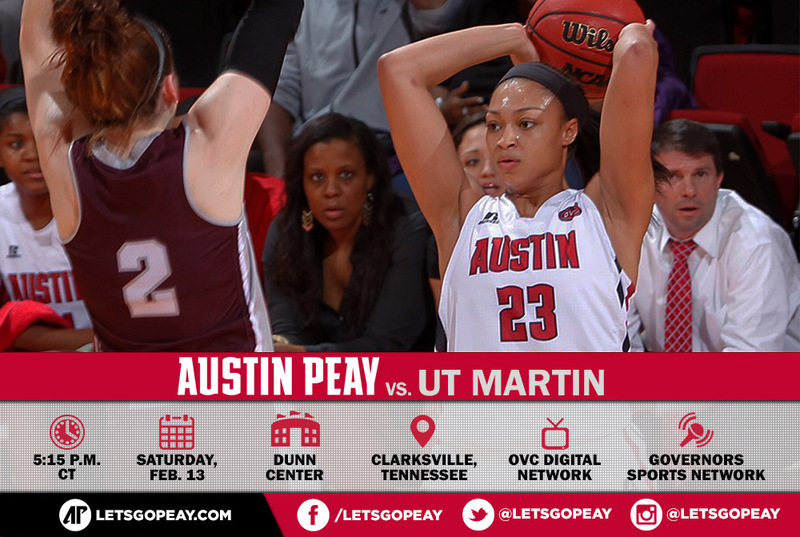 Clarksville, TN – The final two weeks of Austin Peay State University women’s basketball team’s regular-season schedule begins when it hosts Ohio Valley Conference leading UT Martin in a 5:15pm, Saturday contest at the Dunn Center. 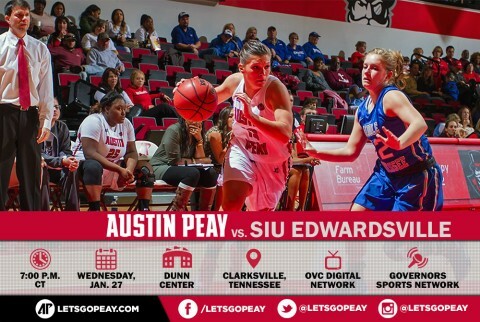 Clarksville, TN – A meeting of the Ohio Valley Conference’s Preseason Players of the Year will highlight a 7:00pm, Wednesday meeting between Austin Peay State University women’s basketball team and SIU Edwardsville at the Dunn Center. In the OVC’s preseason awards, Austin Peay senior guard Tiasha Gray, the 2014-15 OVC Defensive Player of the Year, was named OVC Preseason Player of the Year by the league’s media. 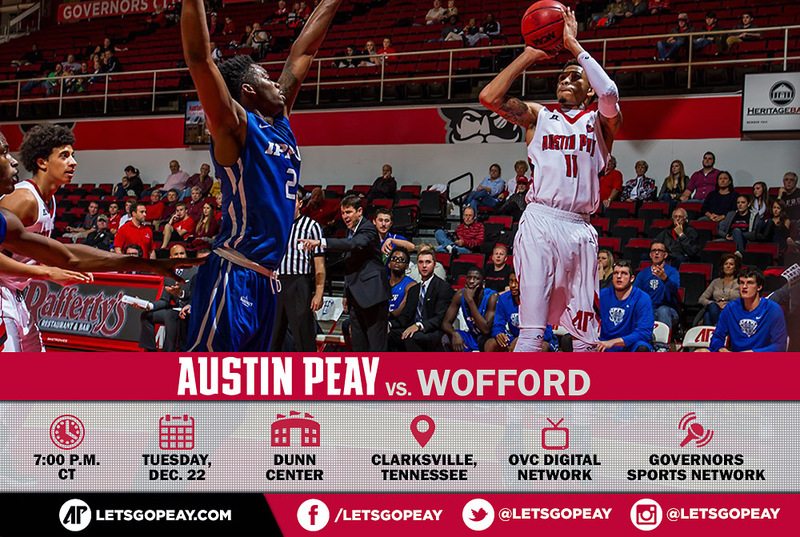 Clarksville, TN – After spending nearly three weeks on the road, Austin Peay State University men’s basketball team will play host to Wofford, 7:00pm, Tuesday, in Dave Aaron Arena in both teams’ last contest before Christmas. Tuesday’s contest will be the first of a six-game Governors homestand. 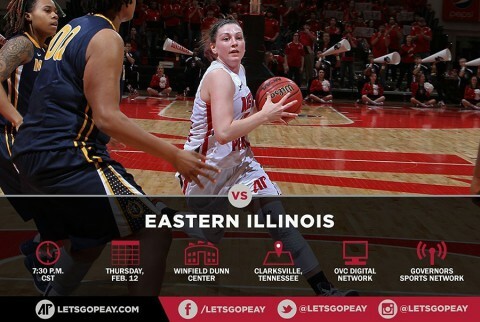 Clarksville, TN – For the first time in conference play during 2015, Austin Peay State University women’s basketball team finds itself needing a win to get back to .500 and continue its march toward the postseason when the Lady Govs host Eastern Illinois, 7:30pm, Thursday, at the Dunn Center. 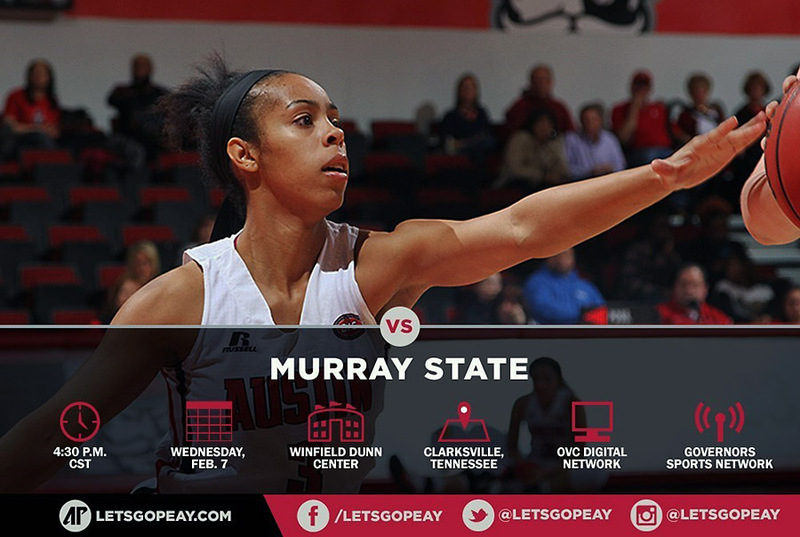 Clarksville, TN – An up-and-down Austin Peay women’s basketball team will face a surging Murray State squad in a 4:30pm, Saturday, Ohio Valley Conference contest at the Dunn Center.